Friends and loved ones who have seen how addiction hurts themselves and the addict often don’t understand what the addict suffers from or how they can do what they’ve done to their family. In many cases, the answer reaches further than what the disease of addiction can explain, as the addiction is not the real problem but only a symptom of a deeper issue. In these cases, treatment centers provide an inpatient dual diagnosis to determine the reasons behind the addiction and treat the patient for mental health issues while teaching the necessary skills to maintain sobriety. Treatment always begins with intervention, hopefully, a controlled one by loved ones rather than jail or a hospital visit. The addict will “kick and scream” during this as they suffer physical pain and withdrawal symptoms, but the good news is that it gets better as their mind clears and they become aware of how the addiction has harmed themselves and their loved ones. 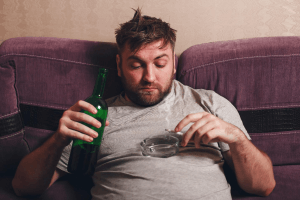 In some rare cases, the causes leading to addiction are as simple as the person took more drugs, drank more booze than the typical person does and became addicted to the effects of the drug. More often, there is another underlying cause which requires dual diagnosis residential treatment to determine. Such diagnosis is individual to each patient, but it is common to find childhood abuse, PTSD, or chronic depression have led to the symptoms which declare themselves through addiction. In other cases, a genetic mental illness may have led to addiction. Regardless of the cause, the addiction has to be treated as a separate problem, but such addictions can never be resolved if the underlying issues aren’t also addressed. Some conditions can be treated with medication, others may require ongoing therapy sessions, typically it is expected that a combination of the two will lead to long term recovery and sobriety, as determined by doctors and experienced drug addiction specialists who understand what a dual diagnosis entails. In general terms, most addicts can find a temporary sobriety which lasts long enough to fulfill court orders or have an illness treated. Short term sobriety is not a reasonable solution. Long-term recovery can only take place when the underlying causes are also addressed. It is often a painful process, if it wasn’t the addict would have taken care of the issues rather than staving them off with drugs and alcohol in the first place. The doctors and treatment therapists can encourage the beginnings of such treatment, but ultimately it will fail without the support of loved family members. For the addict who doesn’t recognize such support, there is still hope, as the community of people in recovery has proven their ability to welcome people who have recently found sobriety into their family and provide the love and support required for long term recovery. Mental health issues, whether genetic or sustained after a life-altering tragedy, requires ongoing treatment of medication and therapy, according to the needs of the patient. Addiction also requires sustained treatment. Neither will work without the other being addressed in tandem, which explains the need for dual diagnosis and more importantly, dual treatment in order for the addict to maintain a long and healthy life which is fulfilling and provides the satisfaction of leading a successful life which can be an inspiration to others. His House Rehab offers industry leading Dual Diagnosis Treatment Programs. We were founded in 1994 and we base our Drug and Alcohol Treatment programs on five key principles: commitment, honesty, integrity, respect, and service. These five principles guide us in all that we do and all the care we provide. Contact us today to see how we can help you or your loved one at (888) 681-4594.